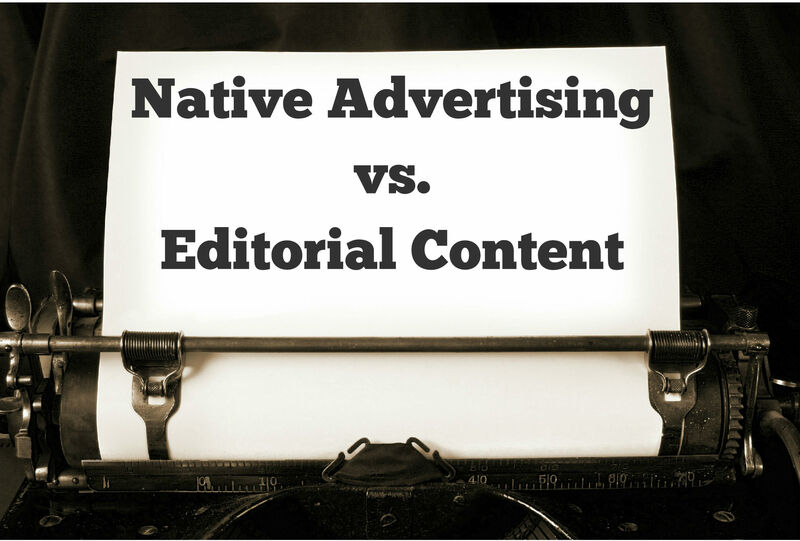 Press Release: Native Ad Survey: Ads vs. Editorial, Can Consumers Tell the Difference? NEW YORK, NY–(Marketwired – December 18, 2014) – Adiant, owner of Adblade the largest content style native ad exchange on the web and IndustryBrains, released findings from several native advertising online surveys that they conducted. As a follow-up to their recent participation in the IAB’s Native Disclosure Workshop held in New York City on December 4th, Adiant shared the results from surveys asking consumers to identify various advertising and content widgets as advertisements or editorially recommended content. Over two hundred and twenty highly educated, web savvy consumers reviewed the images and were given the same question and answer choices throughout the survey. The only differentiator for each of the questions was the content recommendation widget shown. All consumers were instructed to answer if the images were one of the following: Advertisements, Articles that Paid to be promoted by the Website, Articles Recommended by the Website’s Editors, or that they didn’t know. Adiant (www.adiant.com) is a digital media technology company whose mission it is to deliver the most innovative advertising solutions to quality publishers and advertisers. Adiant’s brands, Adblade and IndustryBrains, have been engineered from the ground up to offer both immediate and long-term sustained value with a high level of customer service. Adblade is largest content style native ad exchange on the web and reaches more than 550 Million monthly uniques in the United States. Founded in 2008, the company is headquartered in Somerville, NJ and has offices in New York City and Buffalo, NY. This entry was posted in Content Marketing on December 18, 2014 by . We were excited to be a part of the recent IAB round table discussion on Native Advertising Disclosures at the beginning of this month and while preparing for the panel we conducted several consumer surveys. The surveys asked consumers to identify various advertising and content widgets as advertisements or editorially recommended content. Over two hundred and twenty highly educated, web savvy consumers reviewed the images and were given the same question and answer choices throughout the survey. The only differentiator for each of the questions was the content recommendation widget shown. All consumers were instructed to answer if the images were one of the following: Advertisements, Articles that Paid to be promoted by the Website, Articles Recommended by the Website’s Editors, or that they didn’t know. The results were extremely interesting and confirmed that clear labeling of widgets is important to help consumers identify paid ads from editorially recommended content. While it’s encouraging that the majority of consumers correctly identified paid units as being paid promotion or as outright advertising, there is evidence that labeling the advertising widgets with language that clearly indicates that it is advertising further reduces any misconception that consumers may have about the units. This entry was posted in Content Marketing on December 16, 2014 by . One Year After the FTC “Blurred Lines” Event. What’s Changed? If you are in NYC tomorrow, December 4th or have time to join remotely check out the IAB’s Native Disclosure Workshop that is revisiting the Federal Trade Commission’s (FTC) panel held last year at this time. The 2013 “Blurred Lines” Workshop in Washington DC addressed the very real issue that has been affecting our industry, disclosure and transparency in labeling ad units. On the one year anniversary the IAB has re-grouped Laura Sullivan, Senior Staff Attorney, Division of Advertising Practices of the FTC plus IAB members and others who met in DC for a discussion on native disclosure. They will be specifically addressing: What has changed in the past year, what have we learned, and what might transpire in 2015? Our own SVP, Jon Carmen, will be on the panel speaking to the policy that Adblade has practiced since the beginning, we label our ad units clearly as advertisements. This entry was posted in Content Marketing on December 3, 2014 by .